The Popfly development team have produced a funny tutorial over the holidays where the team members play the roles of the Popfly blocks (modules). In the video they create a facebook mashup to display facebook friends on Virtual Earth. 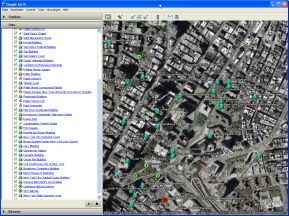 GeoNames is used to geocode the friend’s locations. 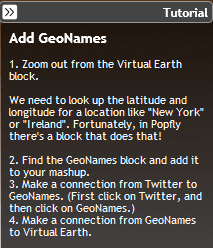 GeoNames is a handy web service that will find the longitude and the latitude for a given location. see also our blog posting on the initial Popfly release. The awesome google maps mashup ongmap.com has recently won the first price of the Mash up Award 3rd organized by Sun Microsystems Japan. Yuki Naotori, the ongmap founder and developer, is generously sharing part of the prize money with GeoNames and other open source projects and communities ongmap is relying on. ONGMAPs mission is to collect a vast range of information about what is at a given location and to make it easily locatable on a map of the world. Multimap has announced today the integration of GeoNames data into their services. GeoNames data on multimap is updated once per day and available with the multimap search on the website as well as with the multimap API. Multimap invites their users to “visit the GeoNames site to add new places, change a wrong location or add alternative names”. 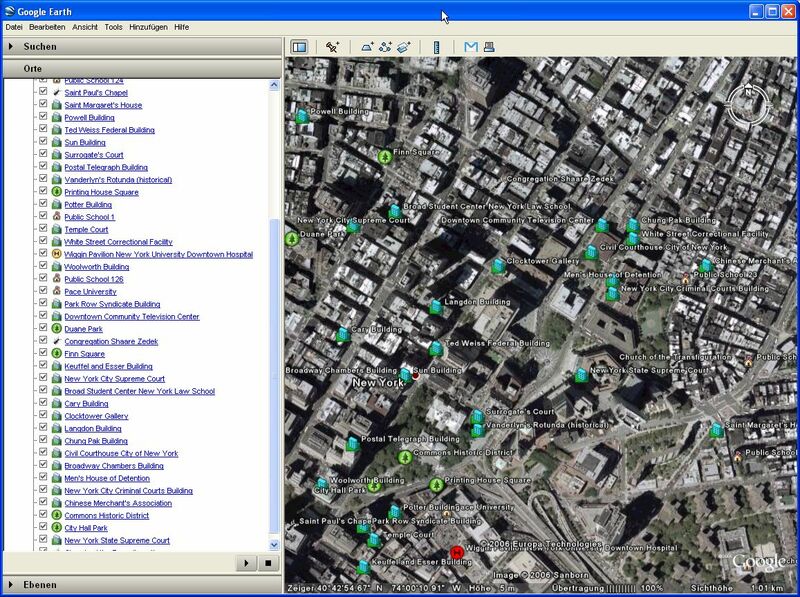 Multimap is one of the earliest and largest internet mapping providers. According to some sources it is the largest online mapping site followed by google maps. John Montgomery, the GPM of Popfly, is blogging about the Genesis of Popfly. Not only if Popfly a funny toy it also has the potential to help web service providers monetize their services. It is still difficult if not impossible to combine web services with advertisements. A centralized mashup platform like Popfly could include ads in the presentation layer and share revenues with the mashup creator and the web service providers. Is Popfly going to be the google adsense killer the world is desperately waiting for? Robert, the creator of ZipScribbleMaps , has added a dozen countries from the geonames postal code data set to his collection of ZipMaps : AT, AU, CA, CH, DE, ES, FR, HU, IT, NL, NO, SE. ZipScribbleMaps is visualising the organisation of postal codes by connecting postal codes in ascending order and using different colours for different administrative divisions. Robert has spottet a couple of errors in the geonames data set during this work. Montejo de Bricia for example was erroneously laying in the Bay of Biscay. The geonames database is now fully browsable with Google Earth. A Google Earth link over the geonames google maps presentation will directly open Google Earth at the same lat/lng and about the same zoom level. A myriad of cool and nice looking icons from the GE collection are used to display the geonames feature codes thanks to the hard work of Thomas. Valery has prepared a collection of GeoRSS blogs using the geonames converter, Thomas has created a placemark with the geonames features network link and Gerardo has written a short how-to view a RSS feed in GE using geonames. Thanks to these efforts geonames has gotten a warm reception by the GE community and a couple of threads are prominently placed on the entrance page. Thanks to Thomas, Valery and Gerardo. Update 11 October 2006 : The geonames features network link is dead and had to be removed. We are working on an alternative. Update 12 October 2006 : The network link was a placemark stored on google infrastructure on the bbs.keyhole site. For some reason it got deleted by a site admin. (This can happend with google. Some weeks ago they accidentally deleted their own blog – I am glad this blog is not hosted on blogspot;-) Msn still has the page in the cache, the placemark, however, has also been removed. Update 13 October 2006 : The geonames features network link is now stored on our own server. A backup of the msn cache is here.